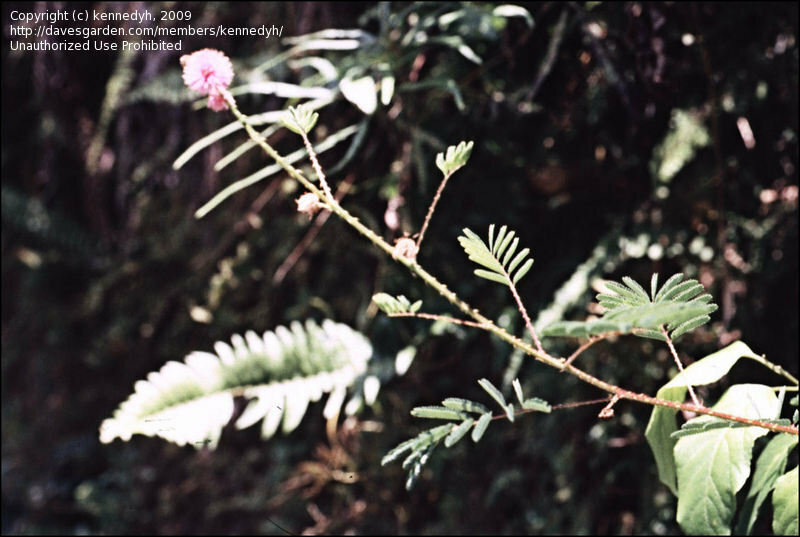 Leaves fold upon touch. 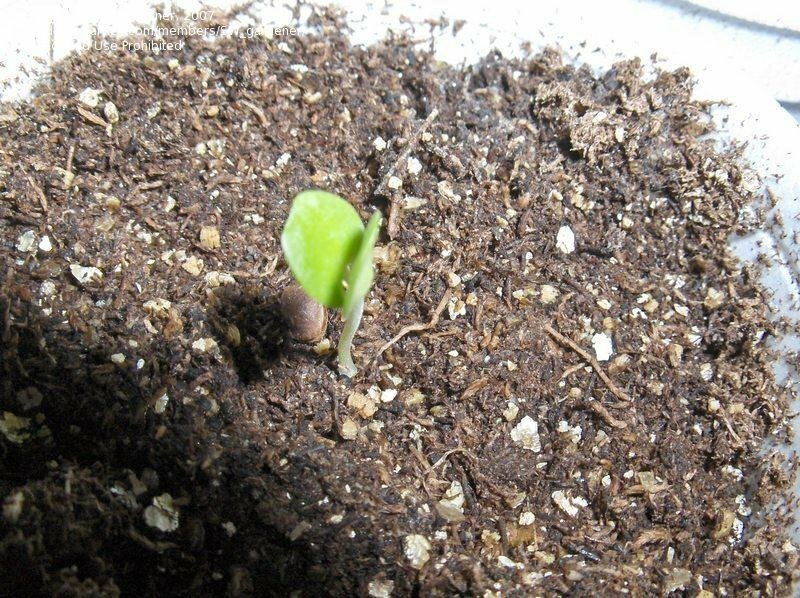 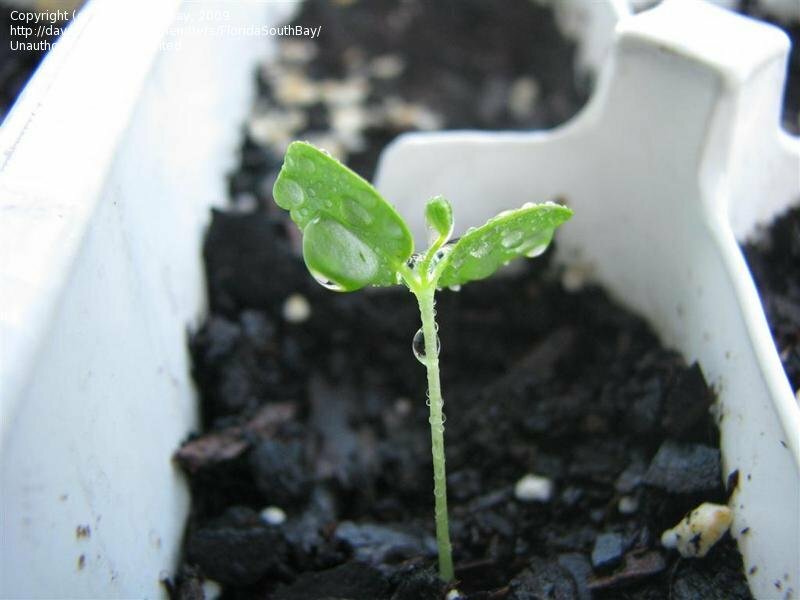 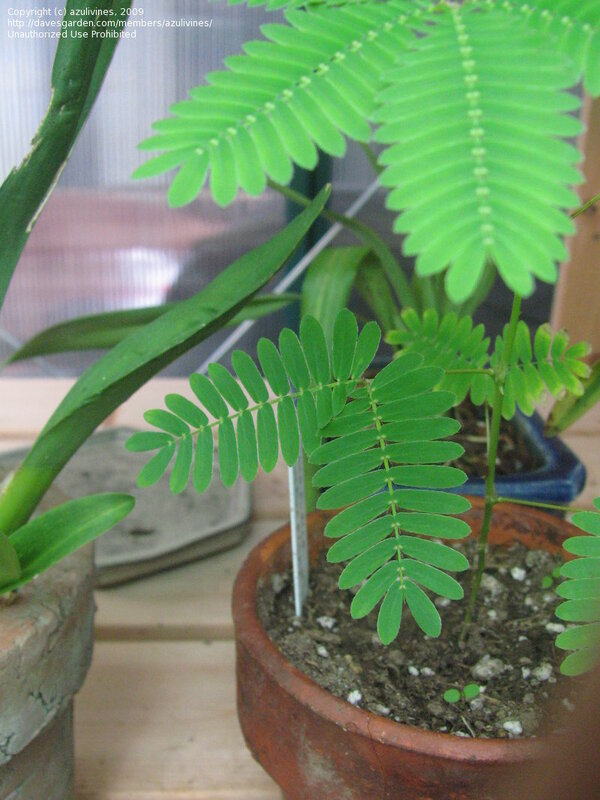 This is a young plant. 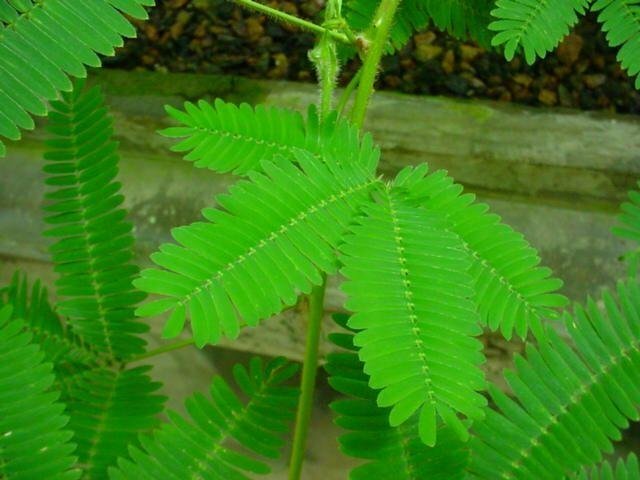 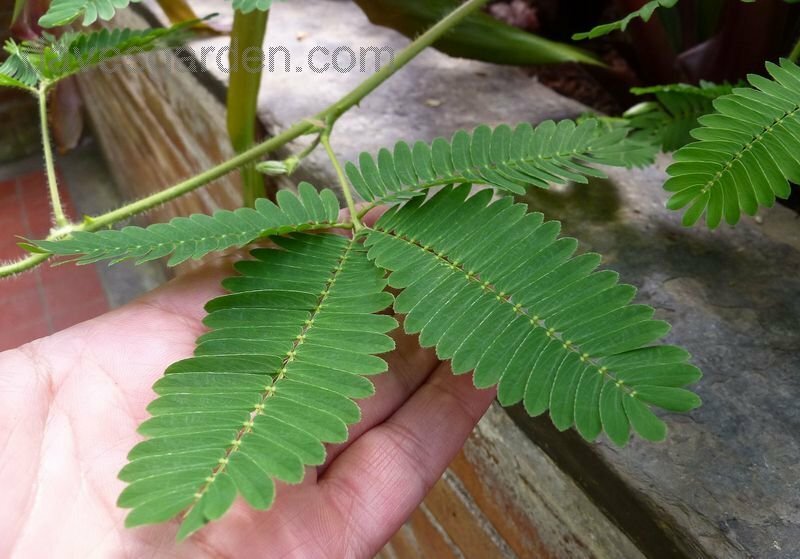 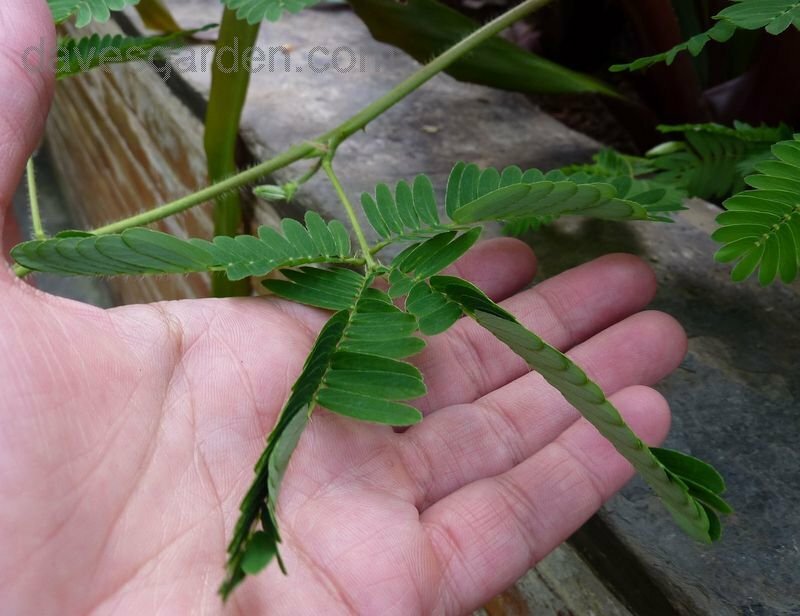 Children will love this plant because when they touch it the leaves close up so quickly. 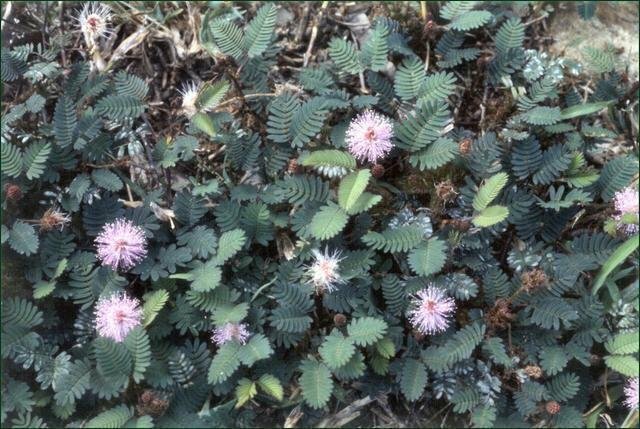 Just be careful of the thorns. 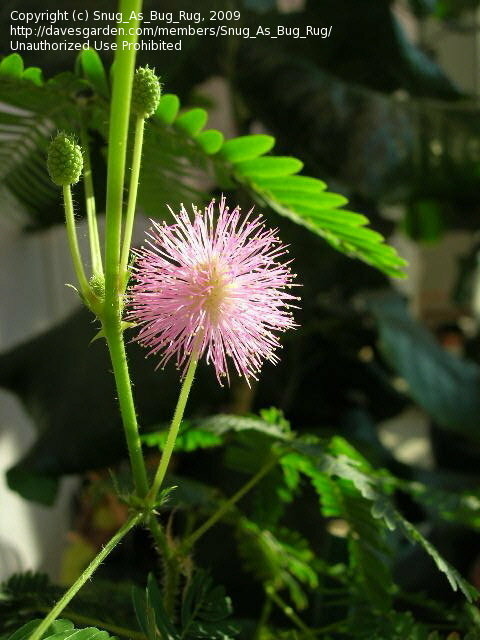 This plant loves humidity. 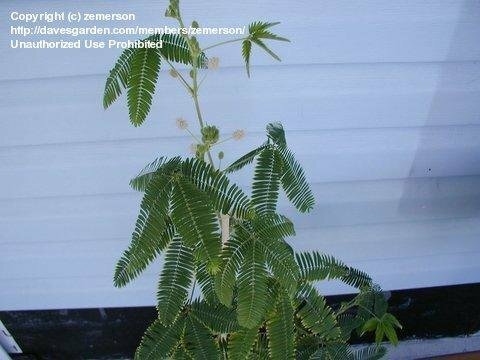 6 month old plant, about 4 feet high. 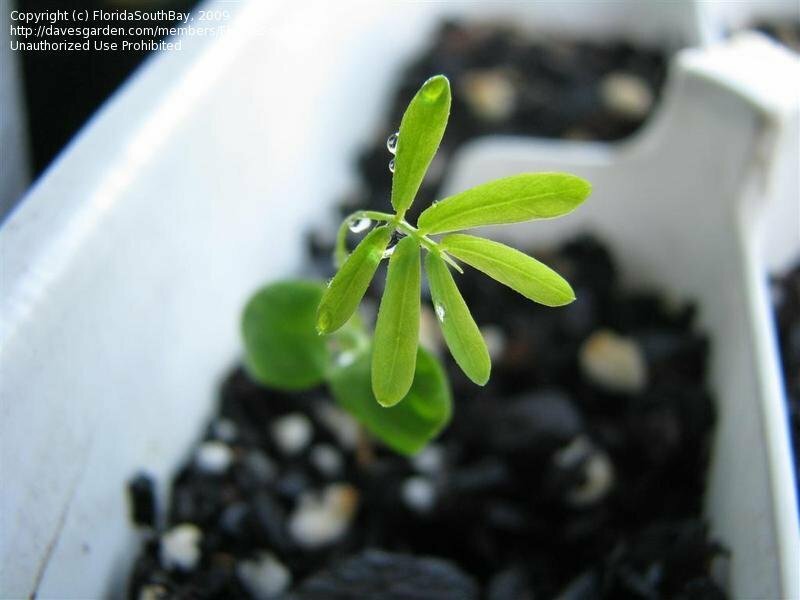 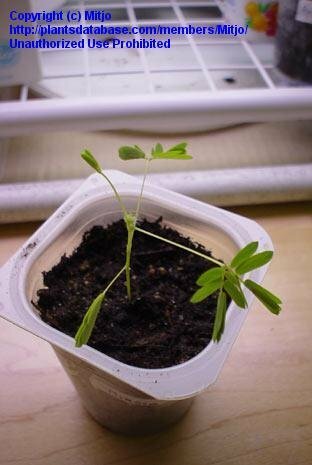 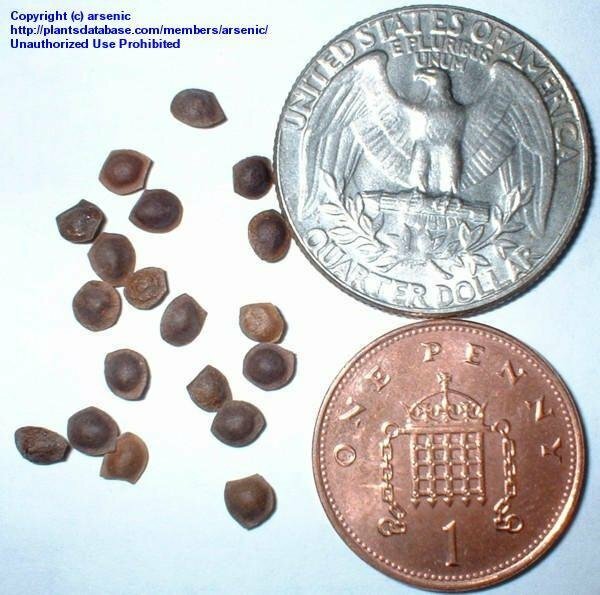 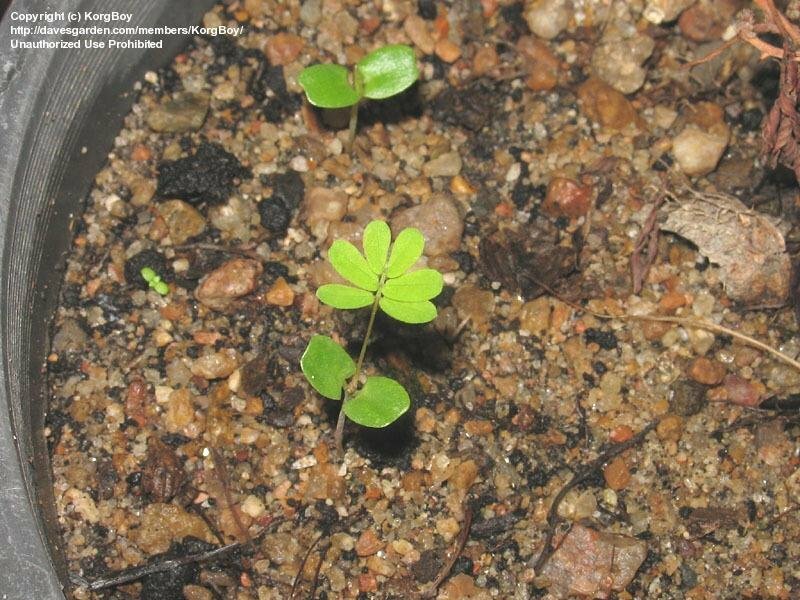 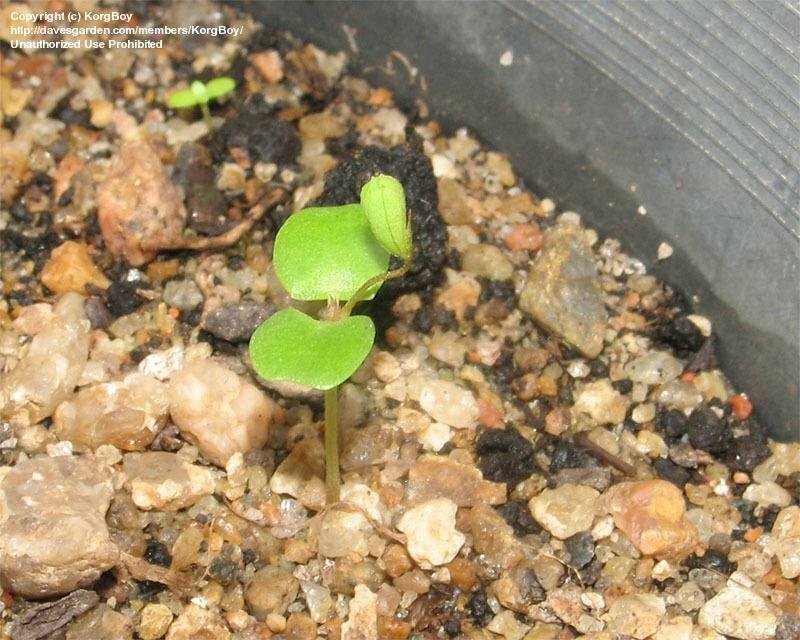 Very young Mimosa Pudica L. around 7 to 8 days after germination. 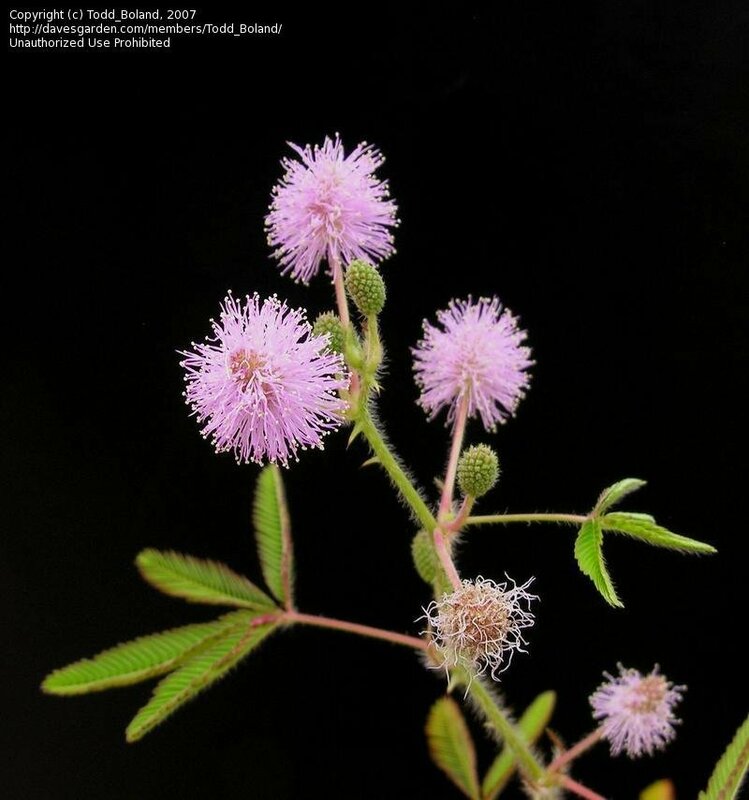 Upon the very first time they opened up, the 'sensitive' leaflets took half a day or so before they became touch-sensitive. 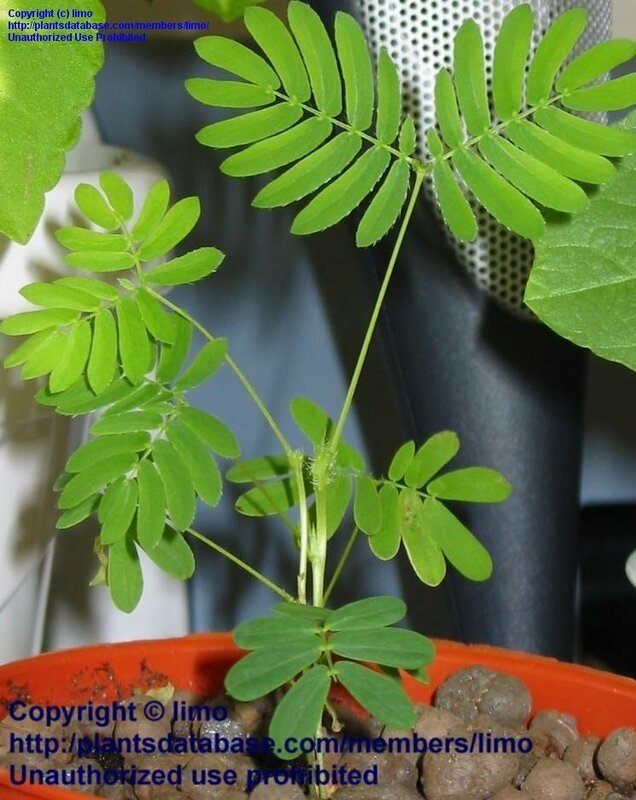 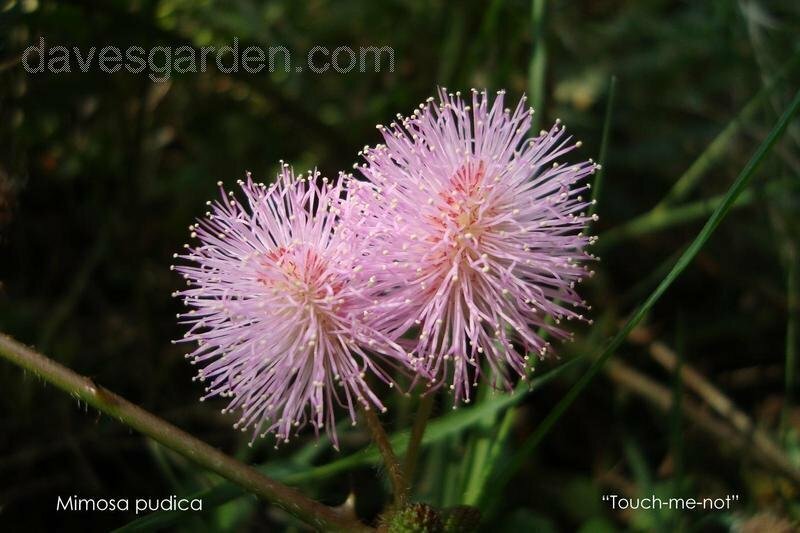 Mimosa Pudica L. with embryonic leaves and in the process of developing its very first set of sensitive leaflets. 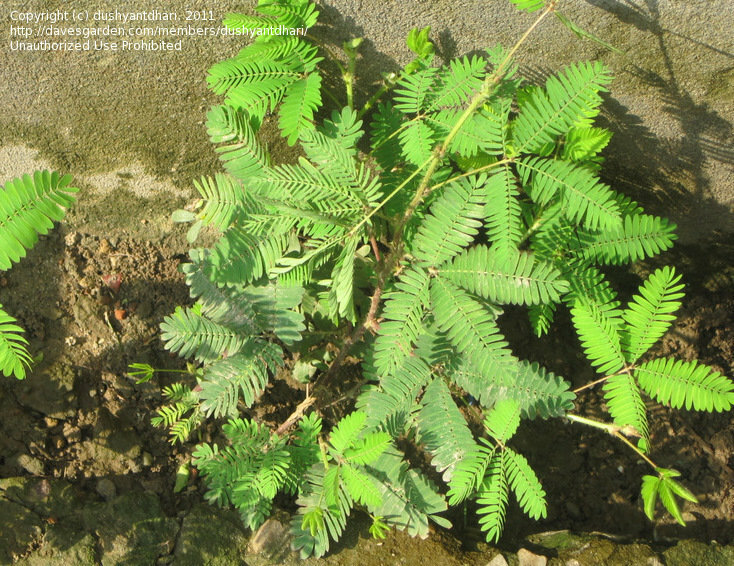 Usually, there are 3 pairs of leaflets on the very first set. 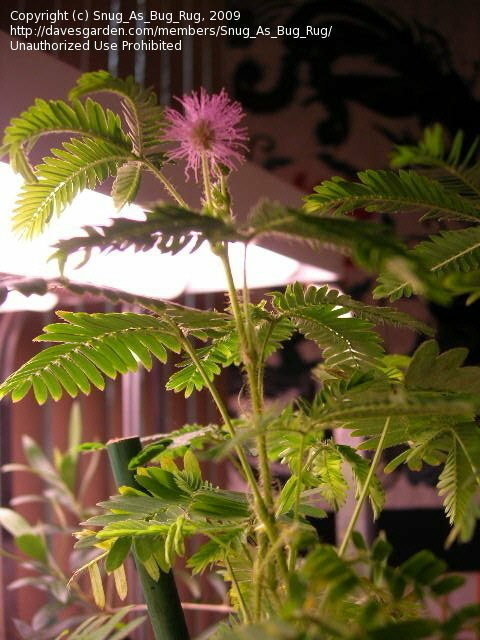 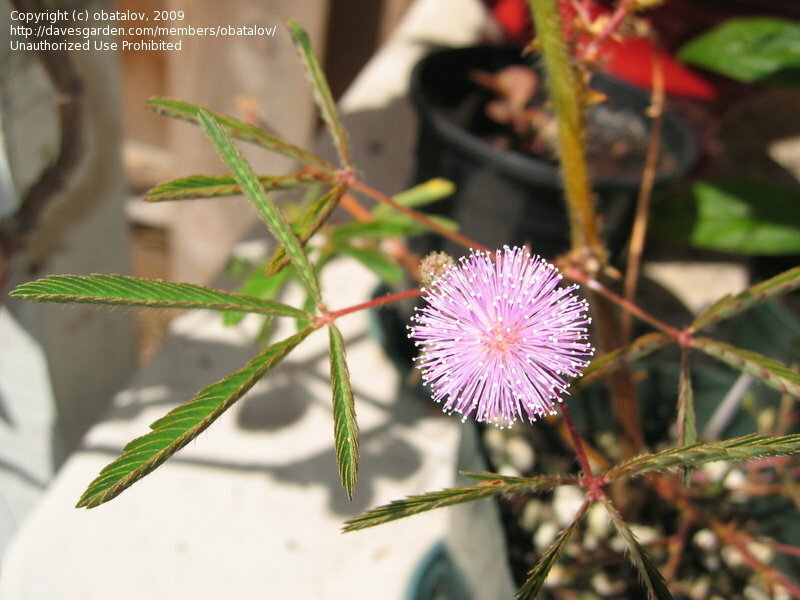 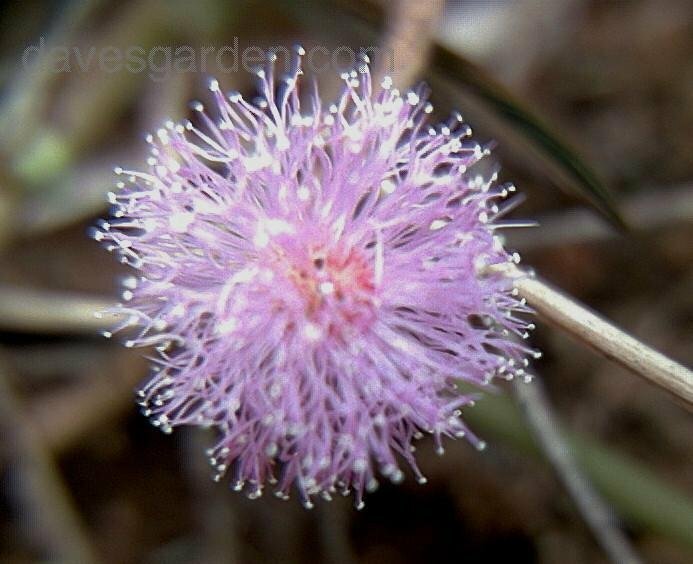 Mimosa Pudica showing Flower, open and closed leaves and seed heads. 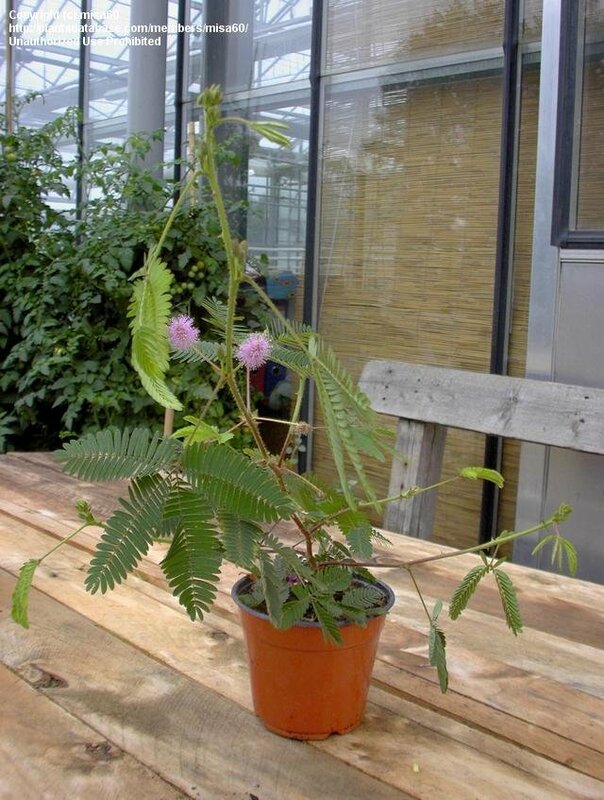 Mimosa pudica not yet tickled..(Hortus Botanicus, Leiden - Netherlands)..
Mimosa pudica a few seconds after being tickled..(Hortus Botanicus, Leiden - Netherlands)..
Greenhouse grown in Burnaby, B.C. 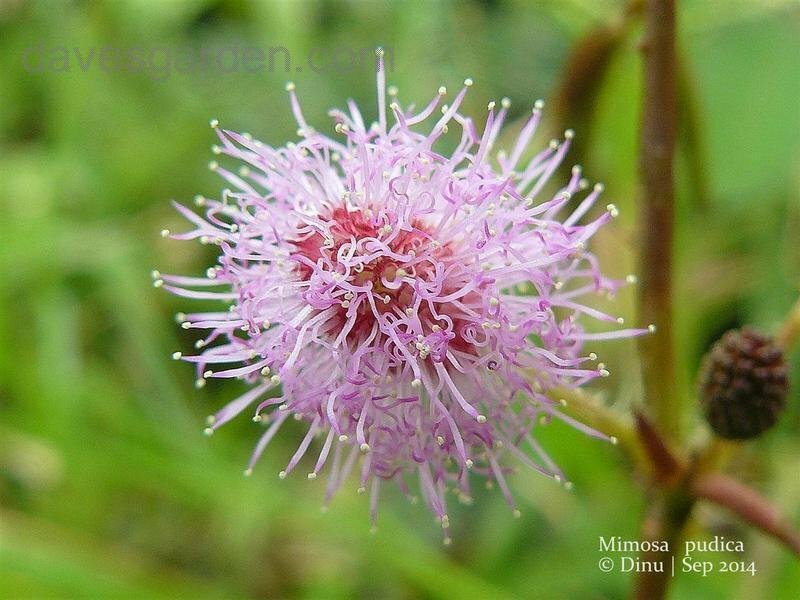 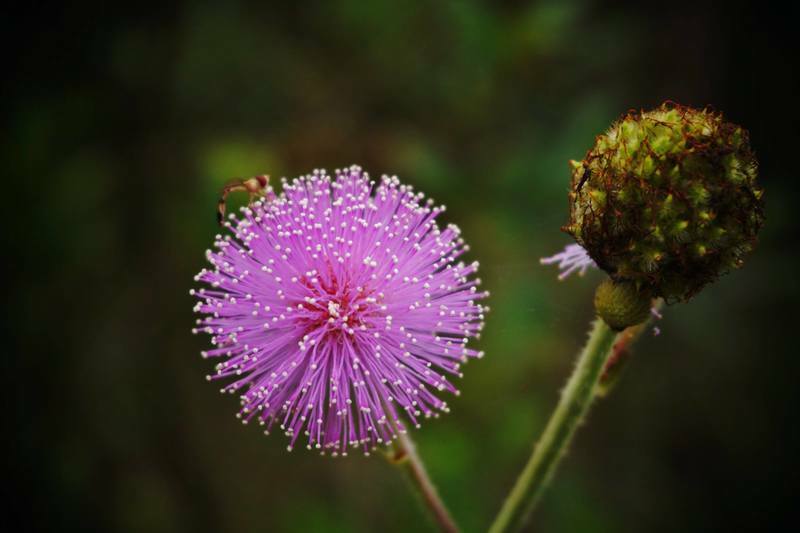 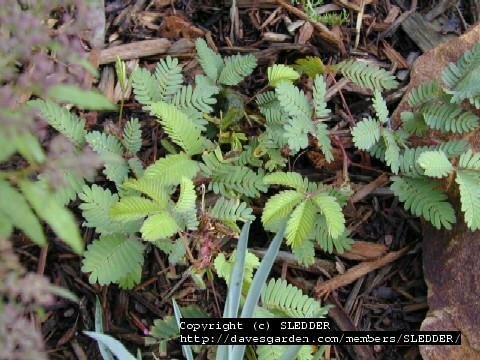 Close-up of a patch of Mimosa pudica var. 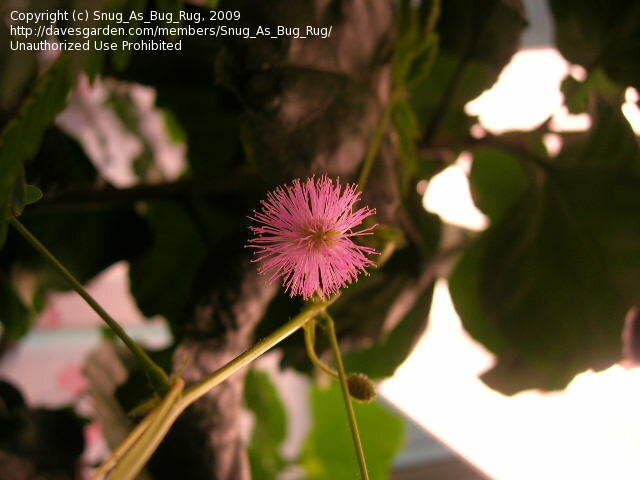 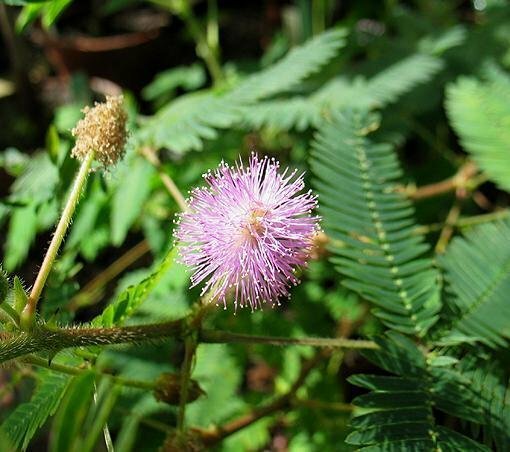 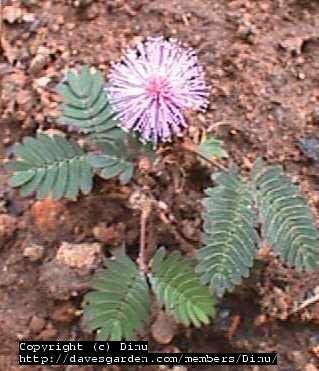 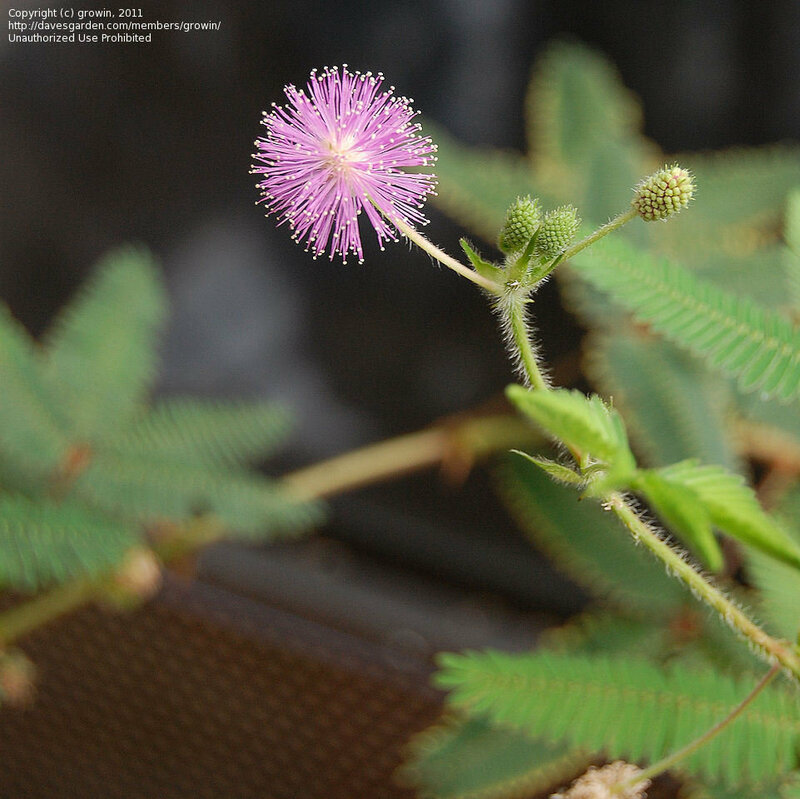 pudica (locality: N-E FL 9a), the Sensitive Plant, showing emerging leaflets and flower buds. 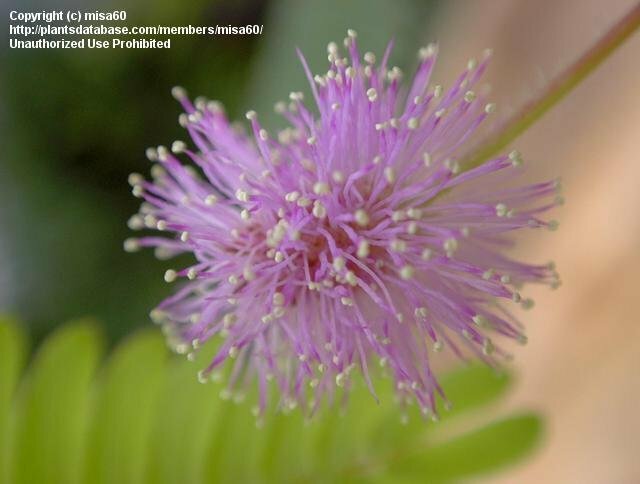 Macro of a flower bud of Mimosa pudica var. 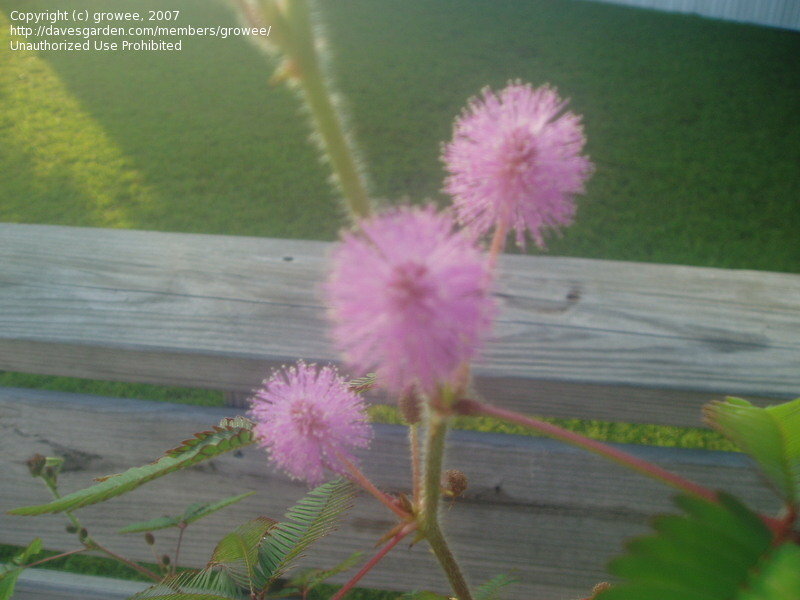 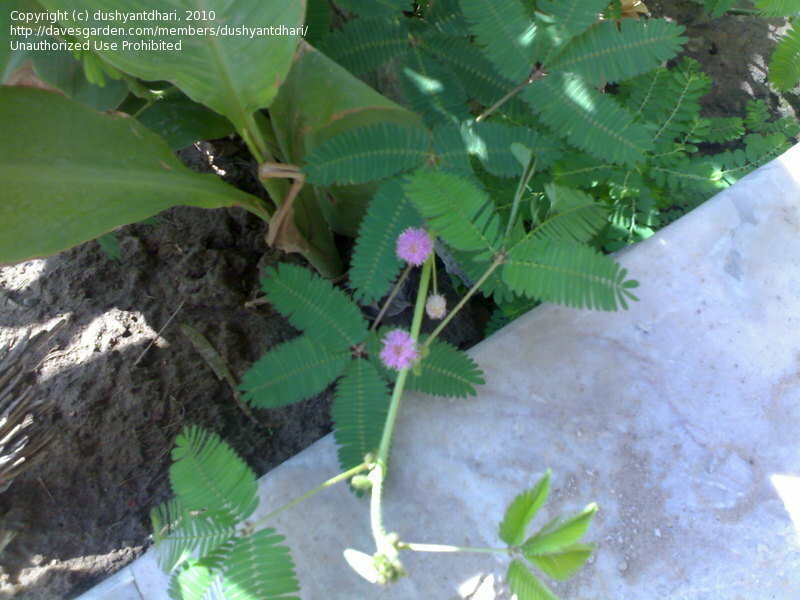 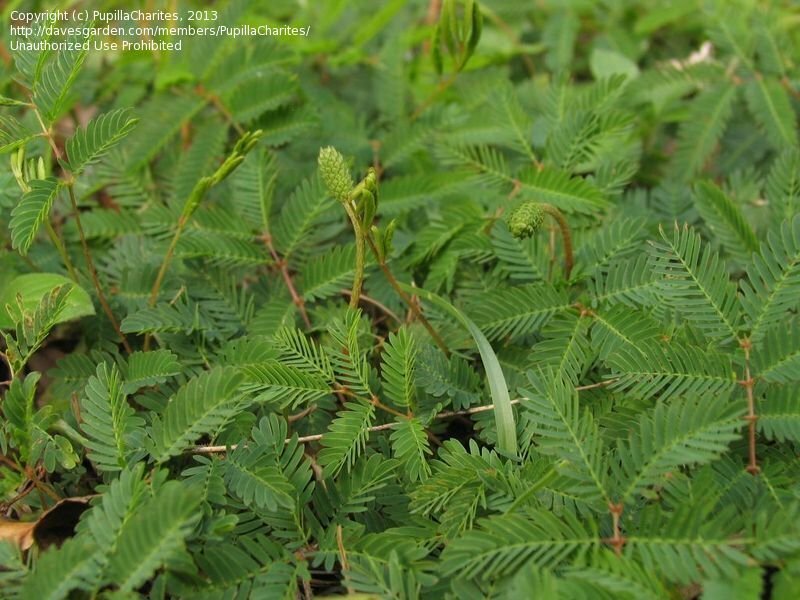 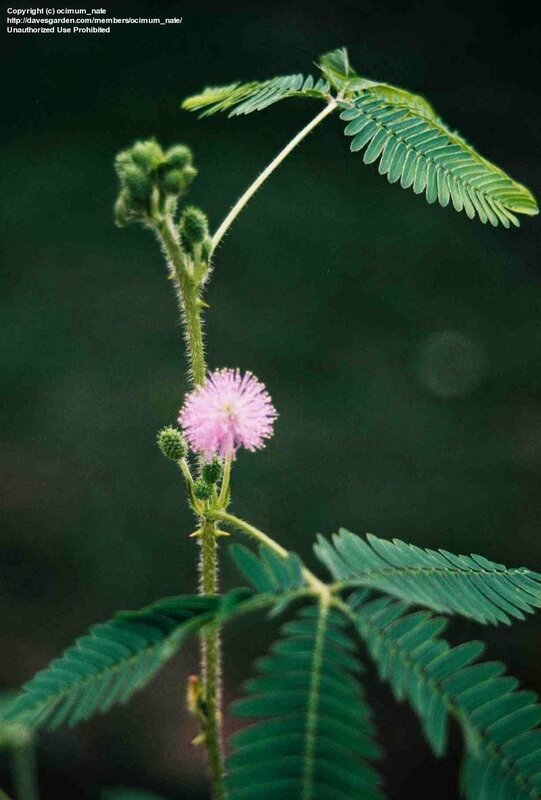 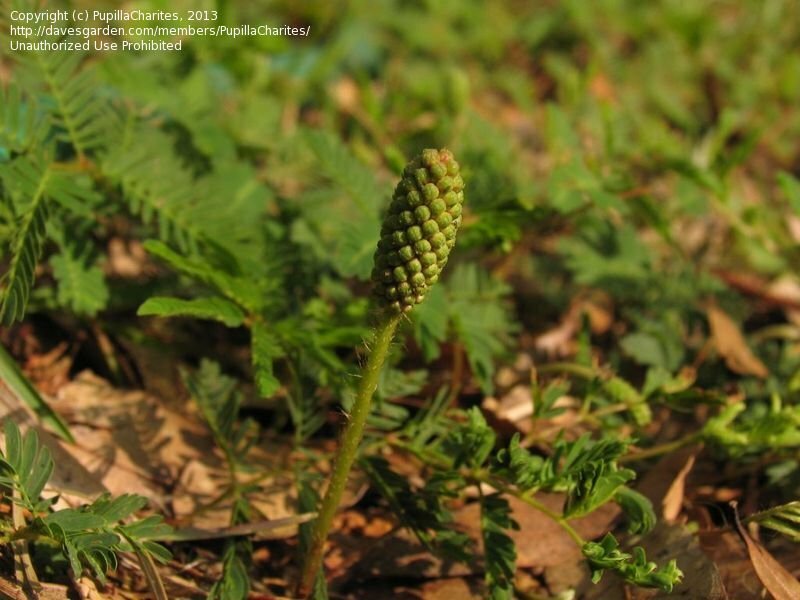 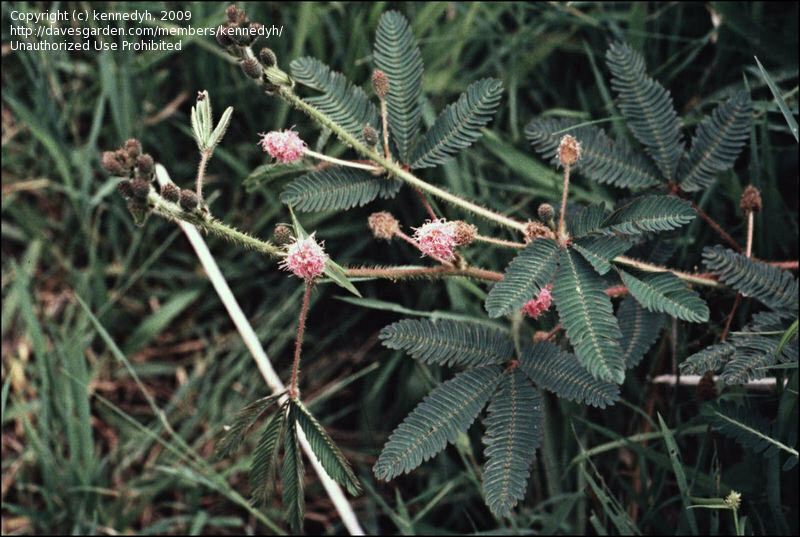 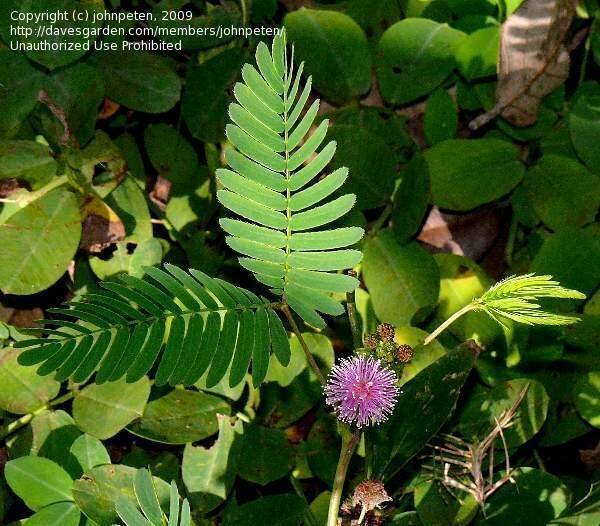 pudica (N-E FL 9a), the Sensitive Plant; leaflets in foreground near bud's stem have been disturbed to accomodate the photo and reacted by folding and contracting. 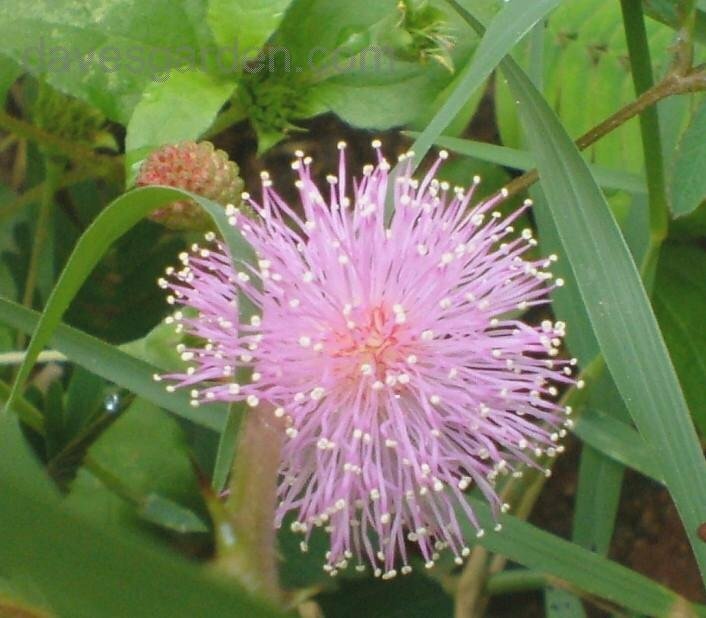 Found this in the fields of Gonikoppal during my tour. 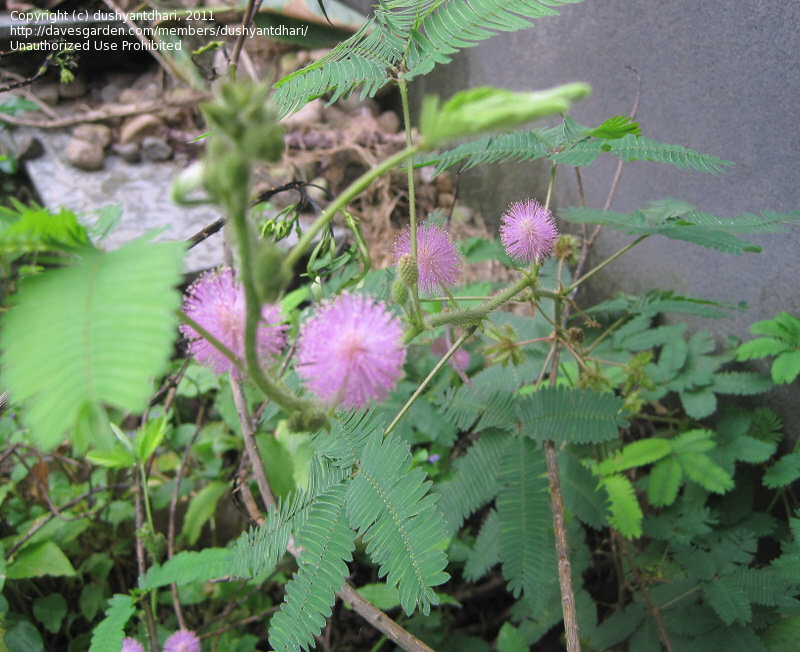 It\'s a 2 hour drive from home.